The $65 stock will be a great deal if it falls back to $60. Let me address CVS because it is bugging the heck out of me. And probably you. I know this has been a tough own. It's a company I've always liked, waiting for the stock to go down. And I think its merger with Aetna will end up being a terrific value. Right now though it is getting hit with so much headline risk that it may seem like it is not worth it. There is a federal judge who has no authority to block its deal yet he's trying to block it anyway. There are new found competitors who aren't going to deal with CVS as pharmacy benefit manager because they compete. There are questions about how well CVS is Larry Merlo can integrate these two gigantic companies with two very different cultures. But that's why the stock of the fantastic company that is CVS now sells it nine times earnings with a 3 percent yield. Last week I was at the J.P. Morgan Healthcare Conference and CVS wouldn't give clarity about the numbers for the combined company. That caused money managers to presume the worst, that estimates have to come down. And as I just said with West Rock, the numbers are coming down. That stock will go lower until they are done coming down. Which is sadly not yet the case for either West Rock or CVS. In that sense it was a bullpen name where we were ready for the sell off. It hasn't paid off. Yet, it's been brutal. Again though when I look at the combination of CVS and Aetna I say I'm willing to wait in part because it isn't all domestic company in the health care field without a lot of cyclicality and because it is so despised that when Merlo figures out and lowers expectations, which I think he still has to. Well then I think he'll be ready to take off. Has it bottomed? I think it's trying to bottom. I will tell you that if this one gets to 60 dollars, right now is it 63. This company gets the 60 dollars, we will buy more and we'll buy more with alacrity. 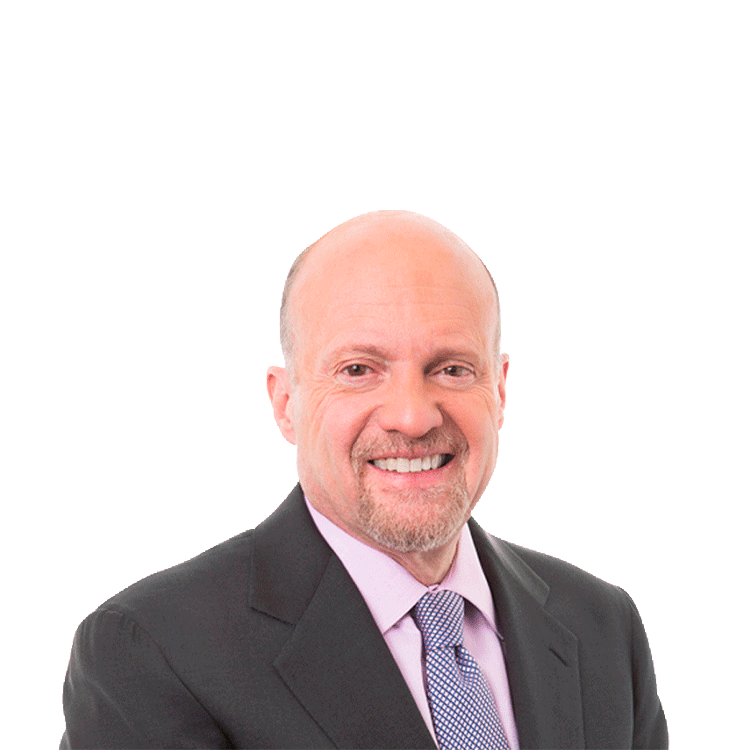 Jim Cramer says he'll buy more shares of CVS (CVS - Get Report) "with alacrity" for his charitable trust if the health-care giant -- whose shares rallied 3.4% Friday to $65.52 -- falls back to $60. "It's a company I've always liked [but am] waiting for the stock to go down," Cramer said during an exclusive videoconference call for members of his Action Alerts PLUS club for investors. Cramer already holds CVS in the portfolio that he runs for charity, but said it's "been a tough own" since the stock has mostly fallen of late. Even factoring in Friday's rally, CVS is still down more than 20% from its recent $82.15 intraday peak on Nov. 14. Antitrust Concerns. A federal judge recently took the unusual step of attempting to block CVS' $70 billion acquisition of Aetna after the deal had already received antitrust approval and had technically closed. Integration Worries. Cramer said that even if the CVS/Aetna merger ultimately goes through, some on Wall Street wonder how well CVS CEO Larry Merlo will do integrating "two gigantic companies with two very different cultures." Earnings Jitters. The company recently declined at a conference to provide details about the combined CVS/Aetna's financials, which Cramer said "caused money managers to presume the worst -- that estimates have to come down." Still, the stockpicker said he's willing to give his CVS investment more time to pay off. "When I look at the combination of CVS and Aetna, I say I'm willing to wait in part because it is an all-domestic company in the health-care field without a lot of cyclicality, and because it is so despised that when Merlo figures out and lowers expectations ...I think it'll be ready to take off," Cramer said. "Has it bottomed? I think it's trying to bottom," he said. "I will tell you that [if] this company gets to $60, we will buy more -- and we'll buy more with alacrity." Action Alerts PLUS, which Cramer co-manages as a charitable trust, is long CVS.